Dan is a consultant to the gas utility operation and construction industry. He works directly with gas utilities and construction contractors on a variety of operational challenges. Dan enjoys working directly with field operations to identify and successfully implement initiatives for improvement. His approach is to work closely with his clients to identify process flows, cost reduction and other opportunities to improve efficiencies and improve his customers bottom lines. Dan brings 28 years of experience in the pipeline industry. His 8 years of consulting experience includes helping liquid/gas operating companies and pipeline contractors with projects ranging from market entry strategies, management process flow strategies, workload management, productivity initiatives, and Safety/Quality initiatives. 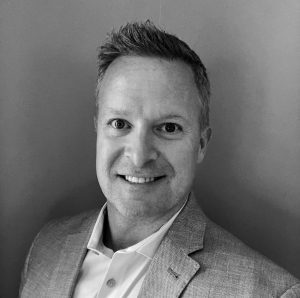 Previously, Dan worked for 6 years in various senior management and operational leadership positions at NPL Construction and Arby Construction (Now part of Infrasource). Dan started his career at a Nicor Gas Company (Now part of Southern Company). Dan worked there for 14 years in various supervision and operational leadership positions for Nicor Gas Company. During that time he gained leadership experience in distribution and transmission design/installation, field supervision, strategic sourcing, and workload scheduling. He earned his Bachelor of Business Administration from Benedictine University in Lisle, IL and currently resides in Bethesda, MD.